Greg Van Avermaet (CCC Team) is set to finish his preparations for the Classics season at the Tour of Oman. The rider will be starting in the race with largely the same team that will support him at the classic races. 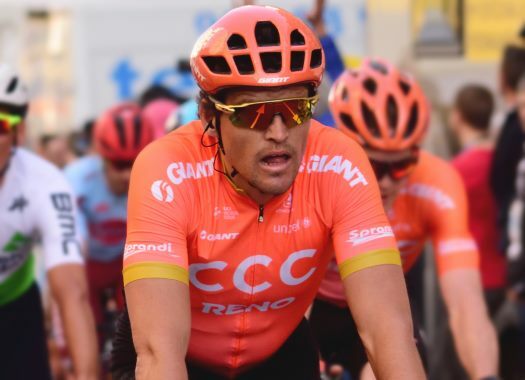 After finishing the Volta a la Comunitat Valenciana, in which he took the victory of the third stage, Van Avermaet prepares to start in the Tour of Oman, the last step of his preparation ahead of the Classics. "Traditionally for us, the Tour of Oman is the final preparation race ahead of the start of the Classics season and this year is no different," said Sports Director Valerio Piva. "We will be going there with a team ready, and motivated, to work for Greg Van Avermaet. He has done this race for the last six years in a row and as we have seen before, it is a good race with some stages that really suit him so, the main objective will be to race for a stage win with Greg. We don't have anyone for the General Classification, as like always this will be decided on Green Mountain and we are not taking a climber with us this year. However, this means that, as well as supporting Greg, everyone will have a chance to jump in different moves." The Olympic champion wants to continue the success he has enjoyed so far in 2019. "I always enjoy racing in Oman and I think it's a really good race for me at this point in the season with nice weather and conditions, and mostly short stages," the Belgian said. "I am really happy with my form and how the team worked together in Valencia so it will be good to race again together this week. "It is always nice to have a win early in the season and I definitely hope to add another one in Oman. There are a few stages that suit me so that is definitely the main goal in Oman, but it's also a good opportunity to prepare for the Classics. At this time of the year, it's important to have racing kilometres in the legs after a long offseason so the Tour of Oman is the perfect race for that."